Berit - DAR Chapter Good Citizen! 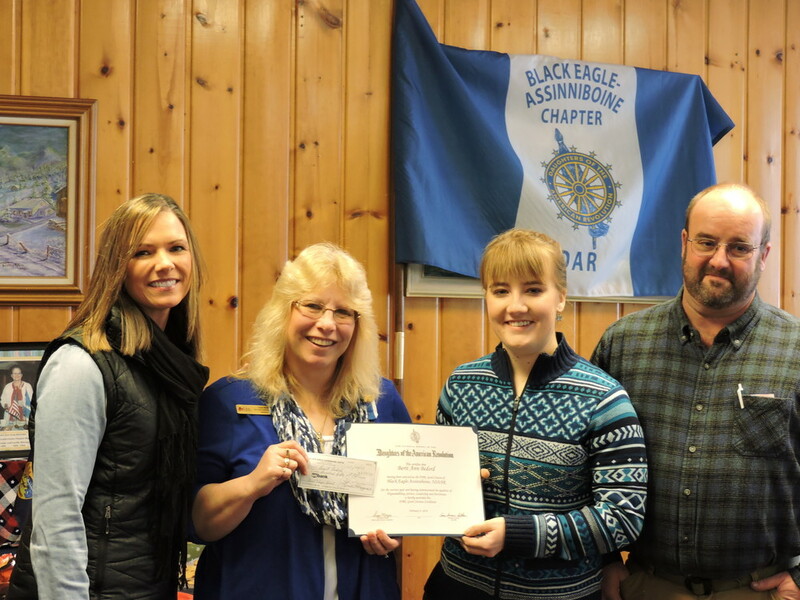 The Black Eagle-Assinniboine Chapter, NSDAR present Ms Berit Bedord of Fairfield High School with the Chapter Good Citizen Award and a check for $250. Ms Berit was among a number of students who were selected by their schools as Good Citizens and took part in the essay portion of the program. A packet was completed with the help of her School Counselor Tammie Smith to compete in a judging to determine a chapter winner. Ms Bedord's essay and Good Citizen qualities were chosen by the judges as the overall winner. Her packet has now moved on to the Montana State Society DAR for judging and if selected, forwarded to the National Society DAR Good Citizen Chair in Washington D.C. with a chance to possibly win up to a $5000 NSDAR Scholarship.